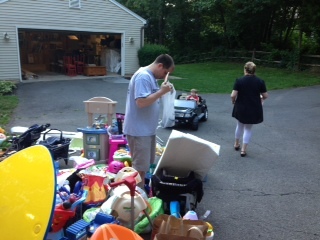 In wading through the aftermath of our garage sale yesterday, Patrick and I were re-counting some of the day’s highlights and lessons learned. Our needs were entirely met. The weather was beautiful. We had awesome friends and family who came to help us all day. Our first volunteer (shout-out to Kevin Raye) arrived at 6 am. To be noted, Kevin was not only the first volunteer to arrive, but the last to leave. 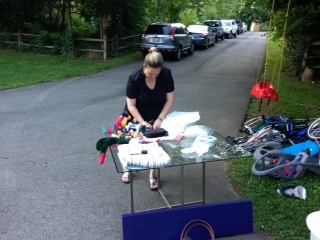 And of course, we had more donations than we could possibly sell – we ended up raising approximately $1500!! This sign did not translate well cross-culturally. We had several confused shoppers wondering what happened to our child – perhaps he/she was kidnapped and we were raising ransom money? Patrick and I are quite possibly the most spineless negotiators you’ve ever met. Really. We eventually had to turn over all negotiations to our friends. If Patrick and I are ever selling anything again, just know that you can likely get a 90% discount by just asking. We were worthless. On Sunday we rested. We all slept in, took naps, and watched movies. Our children, while they loved all of the “parties” last week and selling lemonade, are thrilled to have their parents back. 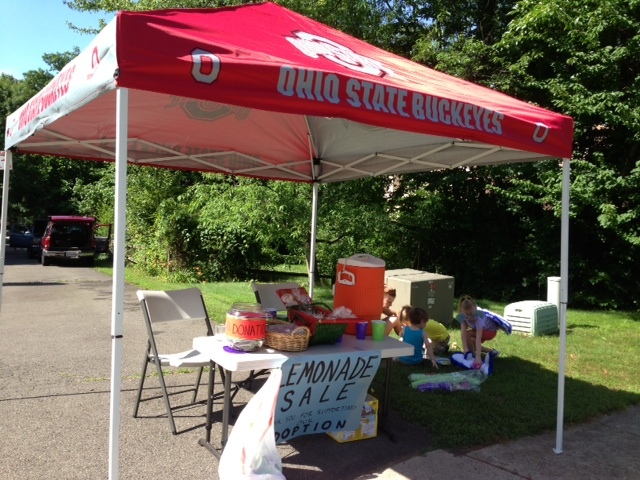 My sister was in charge of running the lemonade stand (and playing games with the children at the lemonade stand). As you know because I have been shamefully plugging it, we are hosting a garage sale/adoption fundraiser in less than 48 hours. 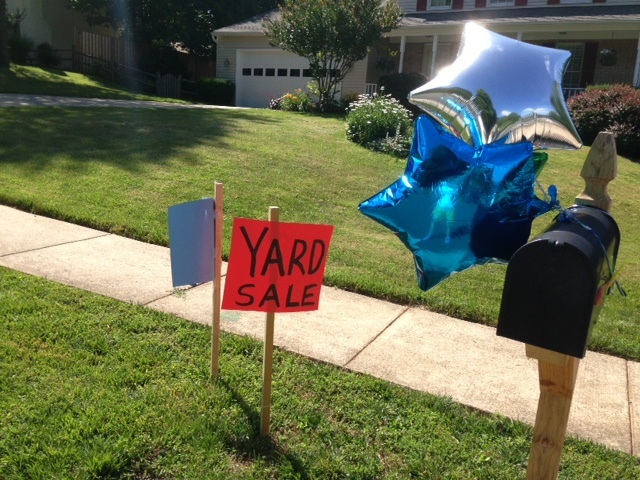 This week has officially been dubbed as “garage sale week”. 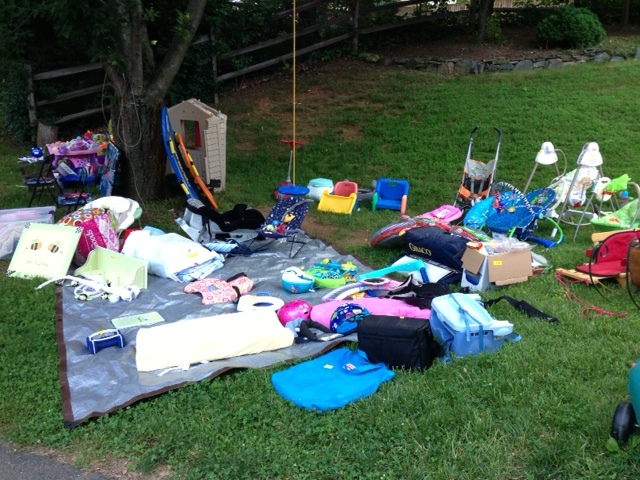 We are collecting last-minute donations, sorting, pricing, advertising, and barely parenting. In the middle of this crazy week, I am pausing and enjoying the goodness of it all…absorbing kind people and God’s provision. 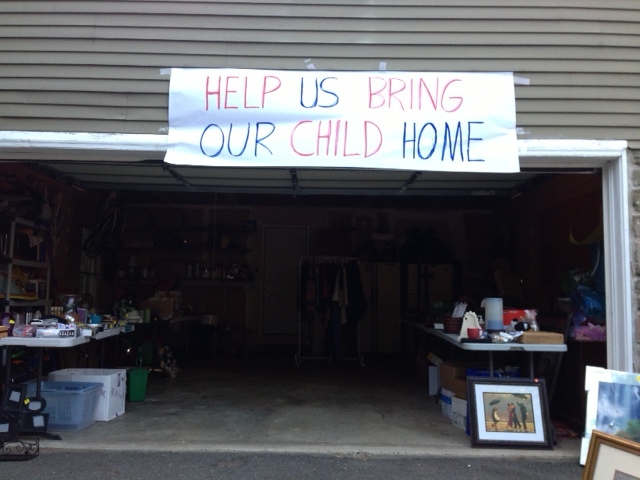 We’ve been collecting items for our garage sale for approximately two months. Things have been accumulating slowly. Because we were watching the slow growth in our garage, we really did not appreciate the volume of donations we received until our first crew of sorters/pricers arrived Tuesday night with weary looks in their eyes. The thing is…we don’t even know where everything came from. We have received emails from “strangers” letting us know they dropped bags off on our front porch and best of luck with our adoption. We’ve had neighbors of friends, relatives of church members, co-workers, and friends of the cat down the street donate items. 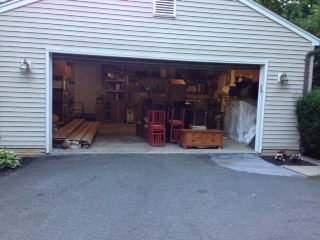 I am pretty sure more than 100 families have their memories stored in our garage right now. I know I am biased, but I think moms are the best people on earth. Moms rally. They get behind causes in big ways – especially a cause that involves vulnerable children. For the past two nights, we have had lots of “moms” at our house – wading through piles of children’s clothes, toys, baby gear, and books. 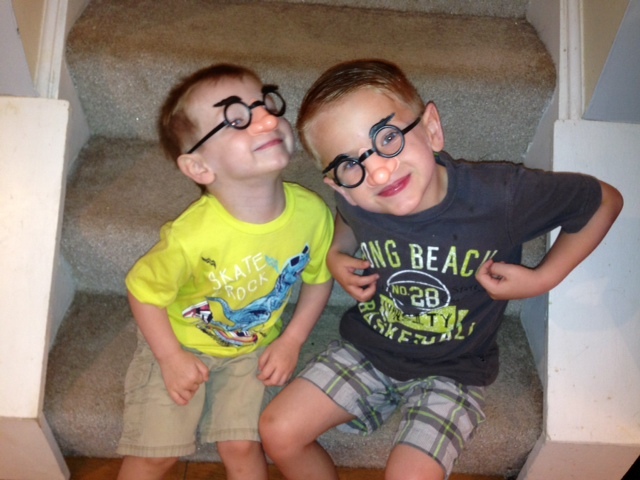 They’ve also had to endure hundreds of knock-knock jokes from my sons. 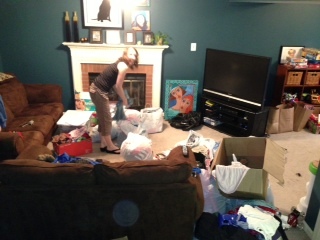 I think more than 75% of our donated items are children’s items and almost 100% of our sorters/pricers have been moms. Moms rule. My bff is really germ-phobic. An unidentified stray hair sends her into fits. She loves our family so much, that she was willing to sort through bags of other people’s pantyhose and lingerie (for real). That’s love. 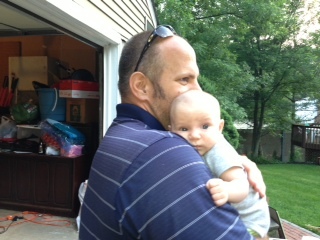 Another neighbor has come two nights to help us sort – baby Ryan has been incredibly efficient and is our cutest sorter. 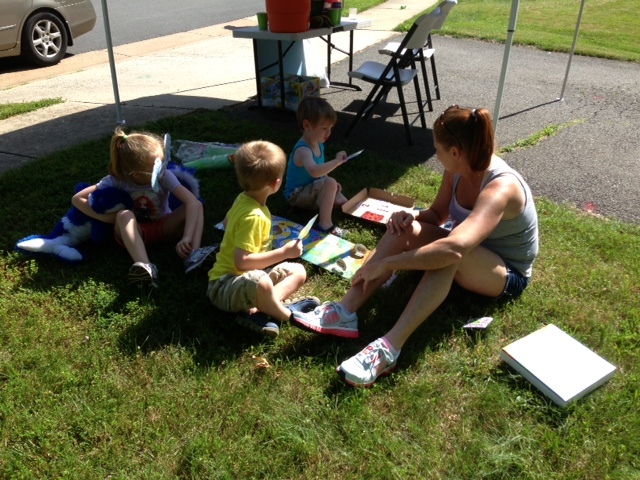 One of my neighbors does “Service Thursdays” with her four children (what a great idea!) She actually took her kids to our house today while I was at work and sorted bags of clothes! We have already been so blessed by this garage sale – I cannot wait to see what is in store for us the next two days. Patrick and I just finished our final two home study interviews. Don’t get too excited. We still have mountains of paperwork to complete our dossier. Baby steps people. 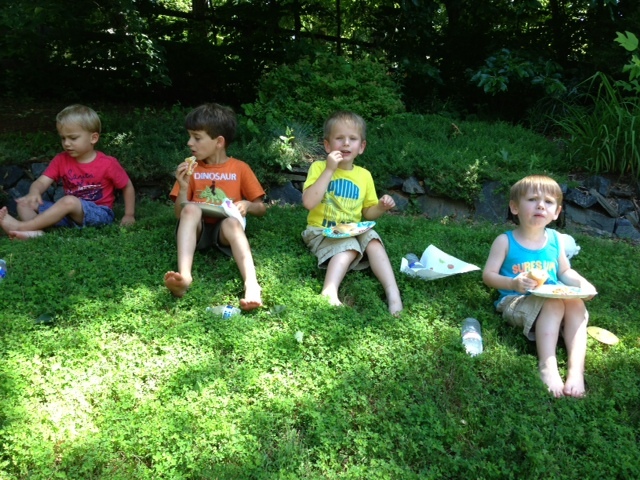 Our social worker came to our home last Thursday evening (6/6) and last night (6/10). On Thursday night she interviewed Patrick and me separately, one hour each person. She asked us questions about our childhood; our current relationship with our family; our marriage; and our strengths and weaknesses as individuals. I froze. I could not come up with a meaningful answer for any situation in my adult life. This is not to say that my life has been a walk in the park, I just could not conjure up any scenario in the past two decades. So I went back to 1989. 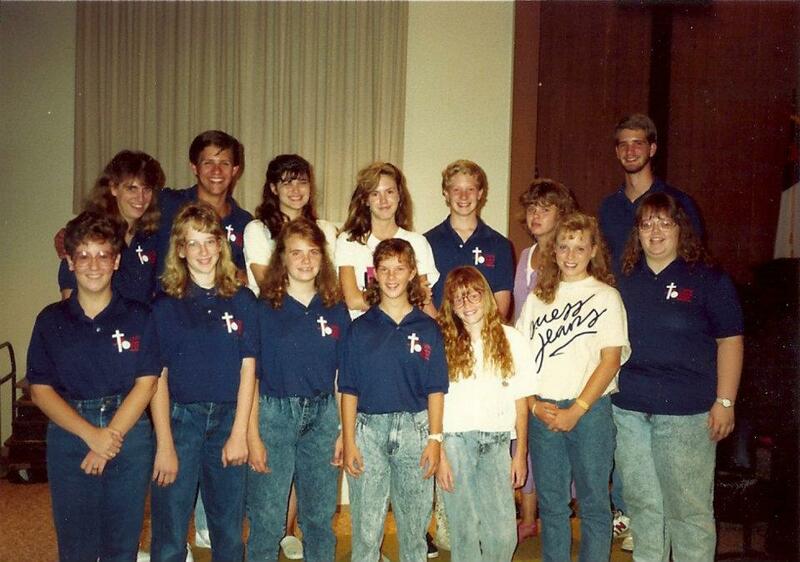 See the girl in the front row with the long red hair/bad perm/and Sally Jesse Raphael glasses? That is me circa 1989. I was in the sixth grade. My military family had recently moved to Northern Virginia from Salt Lake City, Utah. I had a bad perm, probably weighed about 65 lbs, was pasty white, and was painfully aware of my freckle situation. My mom thought it would be a good time to get me on the swim team at our local swimming pool – the Lake Ridge Lancers. I can see why she thought this was a good idea. It was an easy way for me to make friends and would keep me busy during the summer. Little did she know…it turns out I was/am a really slow and weak swimmer. I could never be on the reality show, Survivor, because of my weak swimming skills. I would most certainly be booted off the island. So not only was I shy and socially awkward, but I was also pretty much the slowest person on the swim team. I believe swim heats are organized by age. I also believe that I was swimming against seven-year-olds who were lapping me in races. I was so bad that I got the Coaches Award at the end of the season. You know – that award for the kid who the coach was so proud of for just sticking it out through the season. I wanted to quit – bad. I wanted to fake an injury, but in the sport of swimming that is tough to do. Much to my chagrin, my mom would not let me quit. She was teaching me a “life lesson” about the value of finishing what you started. That lesson, as painful as it was, obviously stuck. Because 24 years later, I find myself telling my social worker how I persevered swim team.